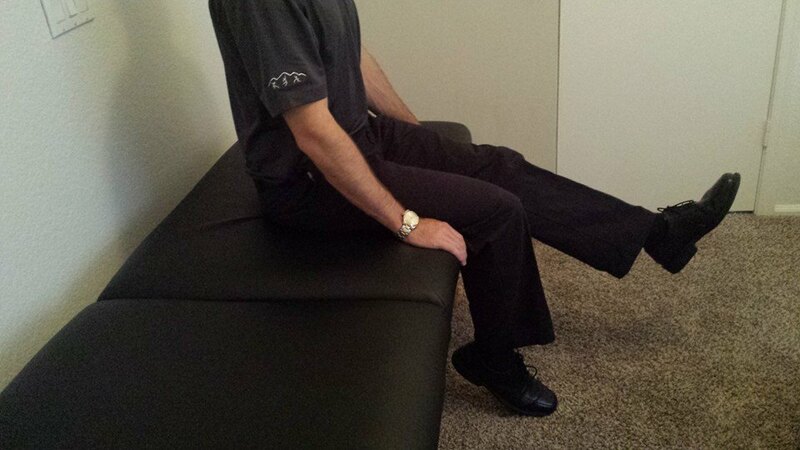 Directions: While sitting on a table, straighten one knee making sure to get to end-range. Repeat as indicated by your prescribing therapist. This exercise requires adherence to the "Stoplight System."